Reference to basic building blocks in nature date back to the 5th, and possibly 6th centuries BC, from Ancient Greece and India. 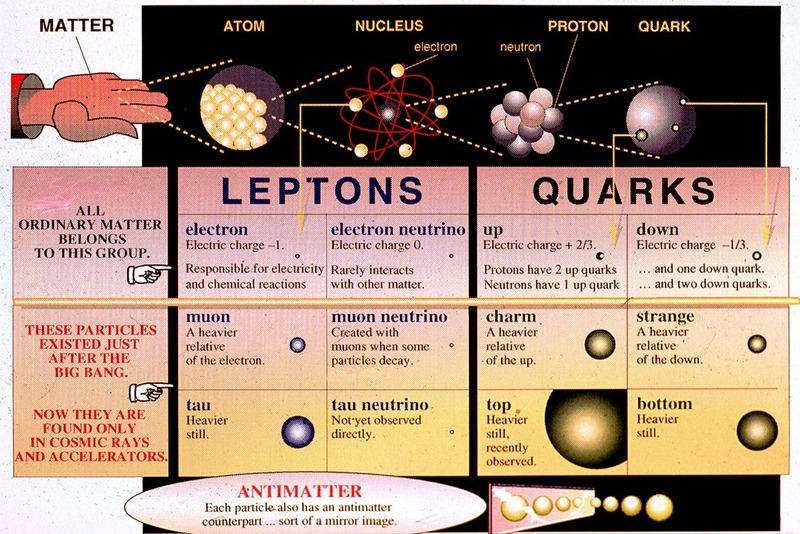 Such thoughts propelled a historic evolution of science and philosophy, to the point where today we are able to divide the atom into protons, neutrons and electrons, and then divide them into quarks, leptons, gauge bosons, photons, gluons and the higgs boson. We can delve even further into these elements with quantum field theory, which treats all particles as excited states of an underlying physical field. But it’s around about at this point when our understanding breaks down. Our scientific understanding seems constantly to change, as we doggedly root down further and deeper into what we can analyse. Yet in everything we have found, or even thought of, we have always discovered two things: mathematics, and potential. Cartesian doubts come mostly on two levels: horizontal scepticism, whereby we doubt people’s expectations that just because something has happened a hundred or a thousand times, it will necessarily happen again; and vertical scepticism, whereby we doubt inferences and implications. Both doubts are rational, and we could perhaps imagine a reality in which these forms of horizontal and vertical logic don’t serve us very well. Yet in this reality, they do. Indeed Einstein found the numbers to suggest that the universe is expanding in 1916, and yet despite the fact that he thought it to be illogical and dismissed the maths, Edwin Hubble later found clear evidence of the universe’s expansion. Indeed if you look at the history of discovery in science, particularly related to those particles discussed above, you’ll often find that people knew about the particles before they found evidence of their existence. 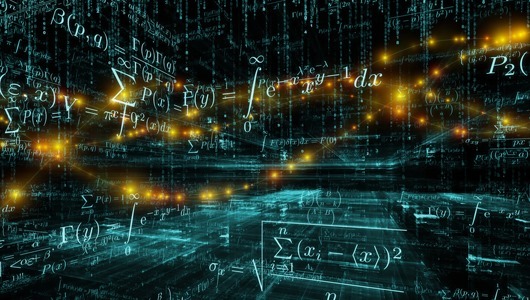 The reason why we can do this is that all of reality seems to obey mathematical rules. 1 + 1 always equals 2, no matter where or when you are. And this also explains why potential seems to lie at the heart of reality, for as I argued in ‘Does Nothing Come from Nothing?’ the existence of zero in addition to, and separate from, nothing, supposes that positives and negatives can spring into existence where before we would have been able to perceive nothing. Plato argued that numbers are not simply human constructs, but are actually real, whether or not we can actually see them. Max Tegmark went so far as to theorize that the universe itself is made of maths. Yet what are numbers? Why do we ‘sentient beings’ come pre-equipped with ‘number sense’, such that even if we don’t know the words for numbers we can instinctively understand what the difference is between encountering two dogs, three dogs and more? Why do we find beauty in mathematics? Take sounds for instance; those we perceive as a threat or warning follow different mathematical rules (if you draw patterns based on the notes) to those in which we find beauty. Defined linguistically numbers are values used to express quantities, or more fundamentally they are information. But it seems hard to think of information being at the heart of all things, since insofar as everything has an information content or position, even if that position is set at zero, information can easily be thought of as a dimension (in fact even your shadow is an example of your informational content). And current scientific understanding says that dimensions sprang into existence with the Big Bang, which suggests that it is possible for dimensions not to exist (honestly, I’m not sure I can buy that). What do you think numbers are? Are they the most fundamental aspect of reality? Are they the only reality? Could there be something other than maths? Are numbers simply a construct within our Universe? tagged with building blocks of nature, fundamentals, mathematics, nature, Reality, what exists?, What is reality? Reality is the mind seeking for something solid to stand on. This was provided by religion but soon eroded by the enquiring mind that quickly saw faults in the fabric. Now the enquiring mind is in big trouble for as it probes deeper everything becomes less and less solid and it feels lost and cheated. Time is short for the world teeters on disaster and the fragmentation of modern civilisation is almost upon us. Yet we cannot stop, we must go on come what may, we must reach the truth, the obsession has us firmly in its grip. Hi Magnocrat, thanks for your comment! I really like the idea that reality is not just in the mind, but actually in a process used by the mind; almost like reality is an aspect of consciousness! The implications are quite intriguing, since it supposes that our ongoing exploration of the furthest fringes of reality are in fact explorations of ourselves. It seems to me that mathematics are just a tool that we created/use to describe reality. The idea that mathematics are an aspect of reality makes no sense to me. We shouldn’t be surprised that maths describe reality. If they didn’t, we would change the maths to reflect that reality. What I find incredible these days, is how we’ve managed to make progress in science—step by step. We could imagine that the world did not have to be comprehensible little by little. Would we have ever gotten to quantum mechanics if those mechanics could not be approximated by the classical formulas? Would we ever have discovered the spectra of stars had we not the ingredients to make glass available on Earth? Perhaps at some point the rungs on the scientific ladder will be too far apart for us to make much progress. Thanks for your comment Matt, and sorry once again for my terrible delays in replying! That’s exactly what I thought too at first. But the more I think about it, the more tempted I am to read that book by Max Tegmark, and indeed the more tempted I am to believe him. Mathematics is not something which we invented to explain the world around us. The language we use to define it is. But the fact that I am 1 person, you are 1 person and Magnocrat is 1 person is a fact. As noted in the post, we do not learn first how to talk, think and analyse, before inventing maths. In fact we are born with an ability to perceive these mathematical facts. If it were the case that Maths were just an analytical tool, then why are we not also born with the ability to employ Cartesian thinking, think about statistics, or use the modern scientific method to test things? I very much share your feelings about our progress in science though. It makes me think of the book Flatland. How would we know about the 2nd and 3rd dimensions had we not had proof of their existence? If a witness tells an investigator that a culprit will be on a certain street at a certain time, and then they are not there, we become confused, until we think about the dimension of height. That culprit could have climbed a ladder, and be on the roof of one of the buildings. Once we know, it becomes simple. And perhaps future generations will say we were stupid to find quantum science difficult. But as you say, progress comes step by step. Philosophers are unsure of what is real and scientists are convinced technological progress proves we are going somewhere. Matt I liked the idea of far apart rungs and the complete randomness of progress. The human mind has incredible depth and can weave its way around most obstacles but it craves completion and rest. I’m still at the maths is a construct stage but that is possibly because I only use basic mathematics for purposes of classification, and not for the purpose of explanation. However I will attempt to add to the discussion. Before mathematics was used to explain existence and reality, ideas and stories were used. A principle idea was of a “God” or creator, and all the practical explanations of why something was as it was would be explained by pondering the possible reasons that the “God” might have for creating that certain thing in that particular way. Obviously the logic of these explanations inevitably started breaking down, and the twists of logic used to harmonise the various explanations became absurd and invalid. Now we use a much better method of explaining things, and that is mathematics. However, mathematical ‘proofs’ are only so, once reality has confirmed them as so, such as the Hubble observation you describe. Should we find a contrary outcome, then these mathematical ‘proofs’ get altered, or disproved, altogether. Turning attention to quantum physics, it is not difficult to wonder whether the mathematics or “logic” used to harmonise the theory with reality is also stretching itself a bit too far, in the same way that explanations using “God” ended up doing. So to me, it appears that we perceive an event or a state, and then we utilise mathematics to explain it. Simply like we use a language to explain everyday events for our small lives. Mathematics is just simply much better at explaining the story of the cosmos. However this does not mean that the universe is constructed according to mathematical principles, just as our everyday reality is not constructed from verbal language. Thanks for your comments Sean! I’m not saying I disagree. But one question for you: if mathematics is a tool of explanation and classification alone then how do you explain it when we discover the mathematics before we discover what those numbers prove? Einstein famously rejected some of the quantum scientific implications of the numbers he found, because he didn’t see those numbers reflected in reality. And yet now of course we know that they did reflect reality. There are other examples too, of maths that hasn’t yet found a use or application. Perhaps that mathematics will teach us more about our universe, or as Tegmark said, perhaps even alternate Verses that we could not otherwise analyse?